If your vehicle is equipped with navigation, you can stay focused on the road ahead and let your INFINITI InTouch system guide you to your destination with visual maps and voice commands. You can also use the in-vehicle Compass App to find your exact GPS location, including latitude and longitude coordinates. Find Points Of Interest (POI) before getting into your INFINITI and send the locations directly to your vehicle using Destination Send-to-Vehicle. You can also find POIs by simply touching the corresponding icon on your INFINITI InTouch screen. In a navigation-equipped INFINITI, a GPS system is built right into your dashboard. Stay focused on the road ahead as the system guides you with visual and voice commands. In addition to directions, your navigation system can help you find nearby services. The Places Directory is pre-loaded with popular destinations like restaurants, gas stations, banks, and more. The INFINITI Compass in-vehicle app shows you the current traveling direction of your vehicle, as well as the direction of your final destination to ensure you never lose your bearings. It can also help you find your exact GPS location, including latitude and longitude coordinates. With just a few quick voice commands or swipe of your touchscreen, you can make a hands-free call to your office, get access to your music, and more. Through INFINITI’s voice recognition technology, Bluetooth® can help keep you in touch while you stay focused on the road. The system accesses your cellphone contacts and lets you make and answer calls, or send text messages—hands-free—through the audio system. INFINITI InTouch offers music to suit every mood. Stream audio wirelessly with any Bluetooth®-compatible device. Plug your iPod®, thumb drive, or other compatible device into one of your INFINITI’s convenient USB inputs. Plug your iPod®, thumb drive, or other compatible device into one of your INFINITI’s convenient USB inputs and take your entire music, podcast, and audiobook collection on the road. You’ll be able to control the functions through the audio system or touch-screen monitor. With the Hands-free Text Messaging Assistant your INFINITI can read your incoming messages out loud and, through voice recognition technology, easily reply back with pre-loaded responses. Say 'Read Text' to listen to a message, and 'Next Text' to hear any other messages stored in your INFINITI InTouch system. Replying or sending a new text is simple. Say 'Send Text to James Smith' for example, and choose one of several preloaded responses. You can create your own custom messages and addthem to the existing list of pre-loaded responses. With the Bluetooth® Hands-free Phone System, make and receive calls using voice recognition even when your compatible cell phone is buried in a bag. No headset, no reaching—just a nice firm grip on the steering wheel. Thanks to a built-in microphone and INFINITI’s voice-recognition technology, you can operate Bluetooth® with simple voice commands. To make a call, simply say "Call"—along with the name of one of your phone book contacts—or "Dial Number", followed by your contact's digits. Eliminate cord clutter and stream your music wirelessly with any Bluetooth®-compatible audio device. Let your passengers control the audio from any seat in the car. The tracks you're listening to will appear on your INFINITI InTouch display screen. Use simple voice commands to stay focused on what matters most—driving. You can use simple voice commands to control the phone, navigation (if equipped), entertainment, and vehicle information systems. You can do it all while staying focused on what matters most—driving. Follow the INFINITI InTouch prompts for hands-free control of your vehicle’s navigation, phone, audio systems, and more. This unique in-vehicle app was developed by INFINITI to provide you with various vehicle performance details, like vehicle and engine speed, fuel flow and fuel consumption information, cornering G and steering specifics. The Quick Guide App serves as a digital in-vehicle companion to INFINITI InTouch. Learn how to use the system’s features as-you-go by accessing this interactive instructional guide whenever you need it. INFINITI InTouch means you are always connected to your INFINITI, sending you notifications on your vehicle’s health, as well as enabling you to locate it remotely. 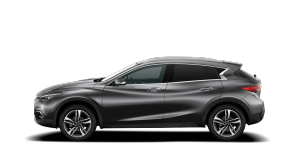 Under certain conditions Vehicle Health Report service provides a monthly updated overview on INFINITI vehicle’s status regarding ABS, Air Bag, Brakes, Engine, Oil Pressure and Tire Pressure and advises whether any action is required if a malfunction is detected. The remote horn service enables User to find his/her INFINITI vehicle by activating remotely its horn through defined touch points (mobile app or portal). User can define the duration of the action. The service is triggered only upon request and requires a specific PIN code. ² Local regulations may apply and restrict the use of such remote Horn functionality. Please use them conscientiously and in compliance to these rules. The remote lights service enables User to find his/her INFINITI vehicle by activating remotely the vehicle’s lights through defined touch points (mobile app or portal). User can define the duration of the action. The service is triggered only upon request and requires a specific PIN code. 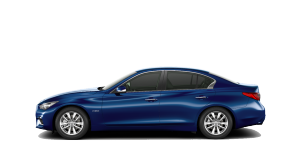 Under required conditions User receives a notification through defined touch points when INFINITI vehicle is close to its scheduled maintenance. You can also consult the past Alerts gathered and stored under “Notifications History”. The MIL ON (Malfunctioning Indicator Light) notification service notifies User in real time through defined touch points when a malfunction light indicator is triggered in the vehicle. 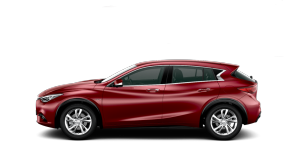 As a consequence, even when User is not in the INFINITI Vehicle, he/she is kept being informed on the INFINITI Vehicle’s status regarding ABS, Air Bag, Brakes, Engine, Oil Pressure and Tire Pressure. User can also consult the past Notifications gathered and stored under “Notifications History”. Call INFINITI assistance service (Breakdown Call) enables the User (through a simple one click push on the navigation system) to be put in contact with the relevant roadside assistance call center directly through the speakers of the car, the user does not require a smartphone nor knowledge of the assistance number to call. The roadside assistance agent can dispatch towing or appropriate third-party services to the precise location that User needs to during the call. Service will still be available abroad with country of origin language.